You can certainly use a VPN a Chromebook just like using a VPN on almost any other computer. Using a VPN on a Chromebook will allow for private internet browsing. There are many benefits to using a VPN on a Chromebook and a VPN offers an enhanced level of security online. For example, using a VPN on a Chromebook will keep your IP address private and protect the data that is transmitted between your computer and internet servers. When using ChromeOS and a VPN, your data, including passwords, financial transactions and instant messages, is secured and encrypted. Additionally, your personal information is hidden from web spies. 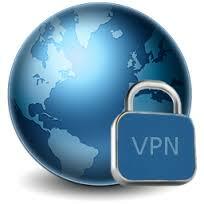 Some VPN services are free and others require payment or have a freemium model. A VPN on a Chromebook might be a good solution for someone who is traveling frequently. Chromebook users who use public wi-fi will benefit the most from having a VPN. Other users who live in country where the internet is restricted might also benefit from using a VPN on their Chromebooks. Learn more about Chromebook compatible VPNs on this page and article below. You can use some types of VPNs on your Chromebook without installing any software. For other types of Chromebook VPNs, you will need to install certain Apps. Below are instructions on how to setup a VPN service on your Chromebook through ChromeOS. Click the status area, where your ChromeOS account picture appears. Click Settings in that menu. In the “Internet connection” section, click Add connection. In the box that appears, fill in the information about the VPN. If you’re using your Chromebook with an organization, you might need to get this information from your administrator. There is often information on setting this up from your VPN provider or network provider. Connect! You will now access the internet through a VPN on your Chromebook and browsing data will be secure. You might need certificates to connect to a VPN, WPA2 Enterprise network (such as EAP-TLS), or website that requires mutual TLS authentication. This is something to check with the VPN provider and look for the Chromebook VPN instructions. . Unfortunately, Chrome OS lacks support for PPTP, which is one of the more popular configuration options for VPNs. Chromebook users must ensure that their VPN provider is Chromebook compatible. One detail about setting up a VPN in ChromeOS is that once you open the Settings to enable a VPN connection in Chromebook, you can’t switch back to a different window. This means that you cannot copy and paste the information you need one at a time, line by line. One of the easiest Chromebook VPNs to use and set up is Golden Frog’s VyprVPN. VyprVPN Pro costs about $99 a year if you pay up front, or $14.99 per month if you pay monthly. The company offers other tiers and variations on the VyprVPN service. Look them over before deciding which one you need. Vypervpn is aimed at business and their website, goldenfrog, makes a bid deal about respecting copyright AND they keep logs. Very hard to torrent through VyperVPN. They have a great free Chromebook VPN plan. They seem to have good chat support and I like how they have CA and TLS certificates available for download separately in addition to the .ovpn as it makes it easier to configure with the Network Manager in Linux (as the GUI doesn’t support inline keys). They are good encryption wise. They have a different CA and TLS auth key for each server. Speeds are a little inconsistent. Some servers are fast others not so much. It really depends on the server don’t think they are all top notch but they do have a wide selection of servers. They are big on privacy though which is good. The company is based in Panama so you get that foreign jurisdiction and they claim no logs. They accept Bitcoin which is good. I’ve only noticed one of the US serves is blacklisted (so doesn’t work with Hulu but using the US dedicated IP server solves this problem) none of their other servers are blacklisted. There are also Chrome browser extensions that you can use to access a VPN. These work a little differently than a pure VPN through ChromeOS. This may be an easier solution for many Chromebook users looking to start using a VPN. Below is some information on the best VPN extensions for Chrome. TunnelBear is an elegant, easy mobile VPN that keeps you safe. Free accounts offer a limited 500MB of data per month. They have paid plans starting at $99. This might be a great option to using VPN on a Chromebook as the installation is very easy and the service is reliable. When you connect to the Internet using unsecured or public wifi, anyone on the same network can sneak in and steal your information. ZenMate is your suit of armor which protects you while traveling through unfamiliar Internet. Plans start around $10 USD per month and is another great VPN for Chromebook users who want something simple and reliable. There are many different benefits to using a VPN to browse the internet on a Chromebook. Below is a list of some of the benefits of connecting to the internet via a VPN on ChromeOS. You can unblock social media websites like facebook, twitter, or instagram at school, the library, or your office. You can also bypass firewall filters that might prevent you from accessing certain sites. Anonymous surfing – Because of privacy and security concerns, you may want to browse the Web anonymously. It is very hard to track a users web activity if they are using a VPN. Hide your IP address – You get a new US IP address to mask your actual IP address and surf the Internet anonymously. Private & secure browsing – Whenever you connect to the Internet through VPN on your Chromebook, your data, including passwords, financial transactions and instant messages, is secured and encrypted. Wi-Fi security – A personal VPN secures your web browsing session and keeps your private data considerably more private.